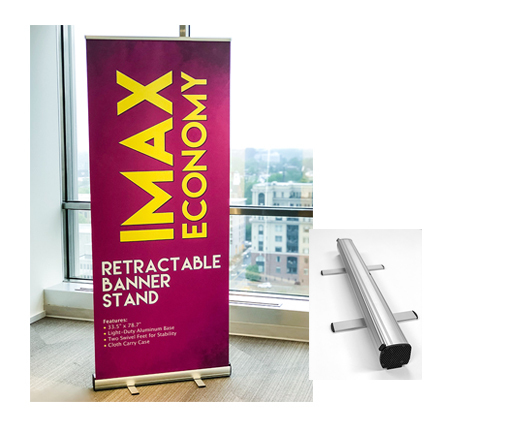 Most economical entry level banner stand is great for light use. Ultra-lightweight, double twist out stabilizing feet. Includes top trim fiber glass end caps and nylon bag. • Printed on 13oz smooth banner material.